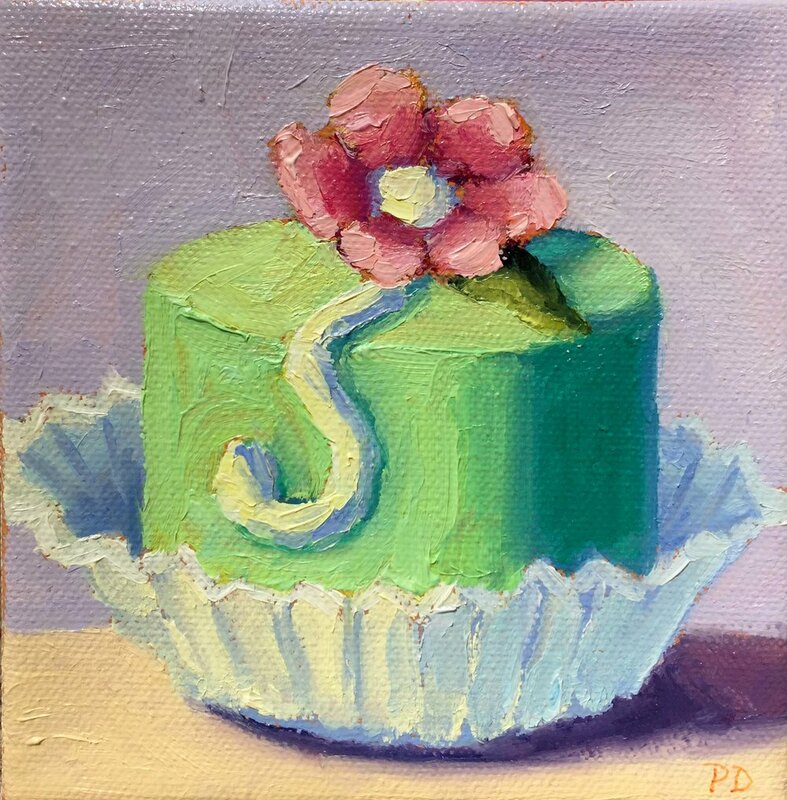 Pat Doherty's bright, playful work showcases whimsical still life objects, including food, drinks and floral arrangements, as the subject matter for her contemporary paintings. She is drawn to simple objects, most notably desserts. Establishing a harmonious color relationship between light and shadow, her focus is on color, texture, and graphic compositions that please the eye.